Thinking of selling some Speedlines I have taking up room in my garage. 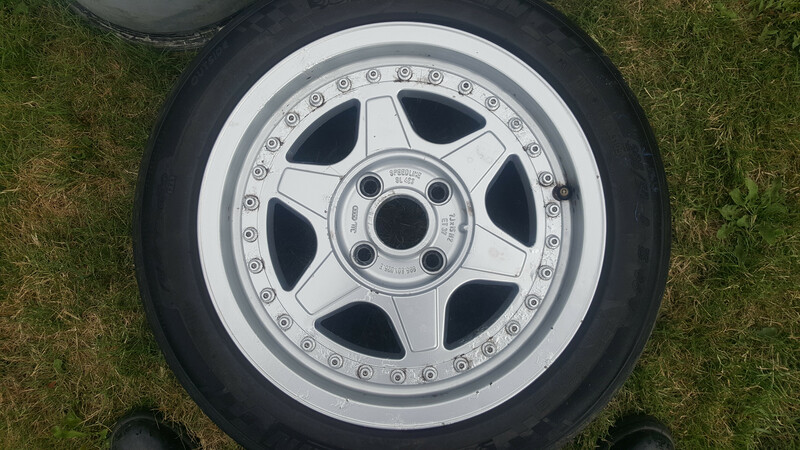 Got six wheels in total, in average condition, some with tyres some without. 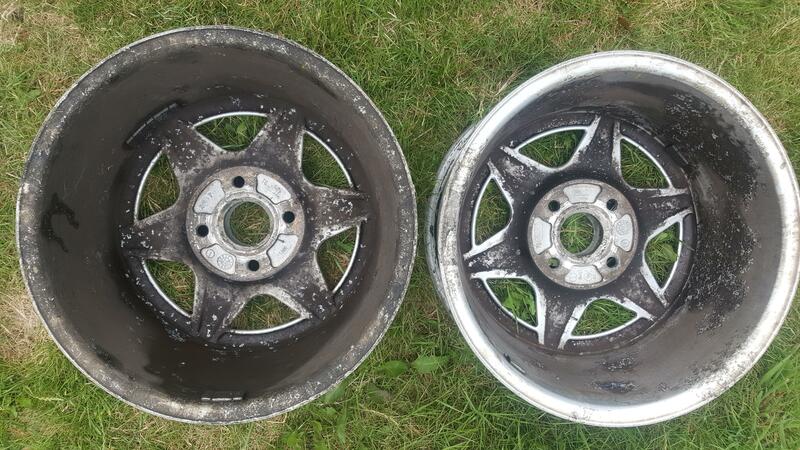 The coupe ones look slightly deeper dish due to the different offset. I ran two SL423 on the rear and two SL359 on the front in a "staggered" set on the 90 years ago. 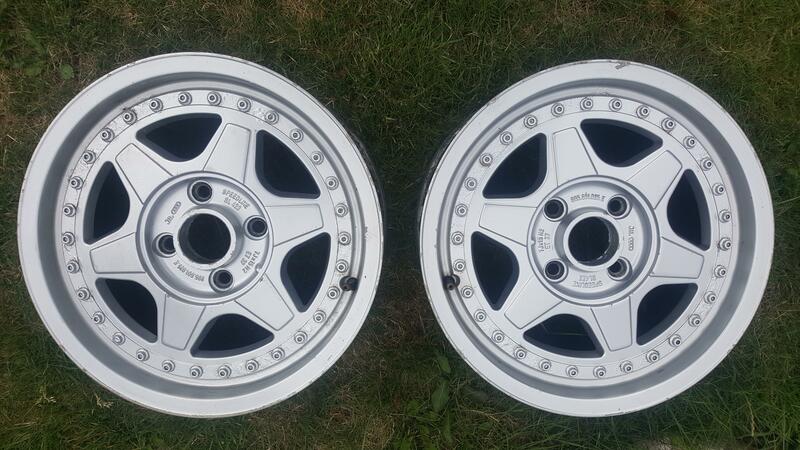 Changed my mind about them and reverted back to Aeros. As there isn't a full set of 4 of either type I'm not sure about value. 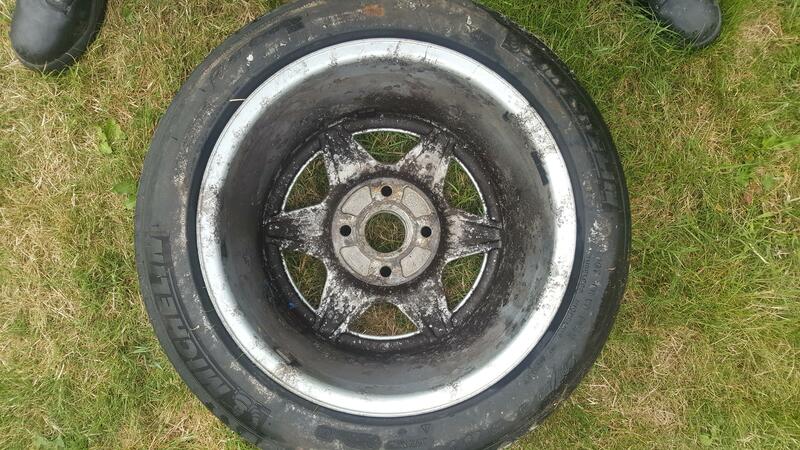 Maybe someone needs an odd wheel as a spare or to replace something badly corroded...? Will post pics up of them if there is interest, also got quite a few centre caps in varying condition. Do any of your centre caps have an immaculate badge centre? I've got 8 in total but wouldn't describe any of them as immaculate, in one way or another they are all slightly to moderately scuffed, scratched or crazed. A few of them would look decent with some tlc, but wouldn't pass close scrutiny. Not exactly selling them here am I?! The badges are indeed fragile. As, like you, I've an extensive collection of centres that look, at best, okay. I'm not wanting to derail a for sale thread. @Duffy - is the centre cap you require a threaded or push type ? @Mellis - would you be willing to post a single wheel (ET37)? See what you think, these are the three with the ET37 offset. They may or may not be of interest! They have been repainted previously but need doing again as they are bubbling up round the 'rivets' and have a few chips from being stored. The tyre is down to its wear indicators, would strip it prior to sending if you wanted that one.